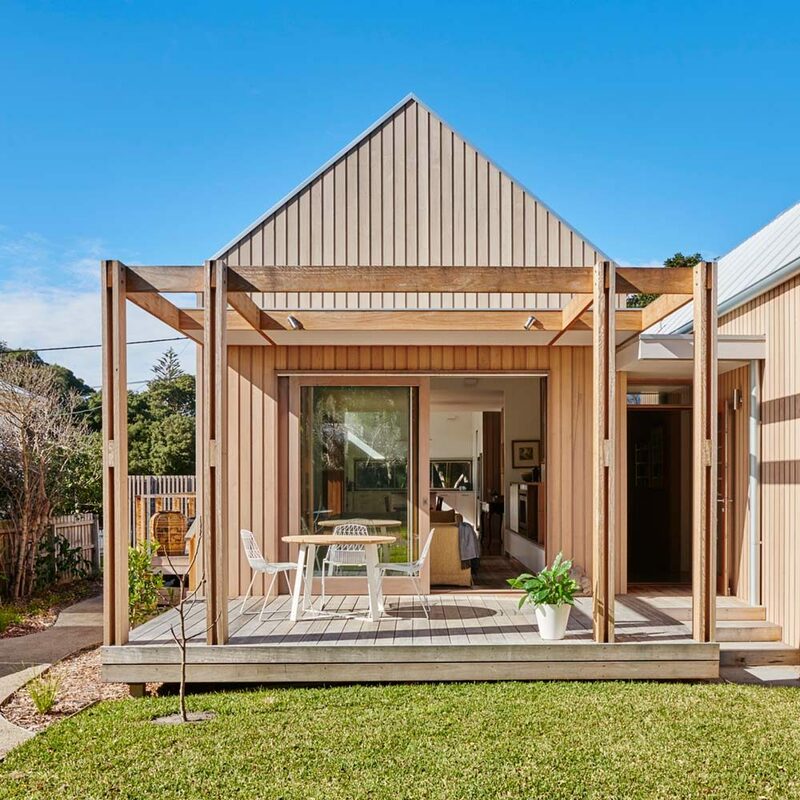 This compact gable house is the perfect combination of simple and stunning, offering the ideal coastal getaway for the retired owners who dwells here. 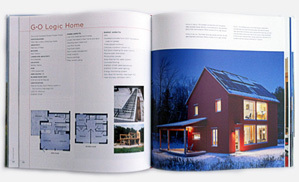 Compact without compromising on function or style, the open and airy concept of this home allows it to feel much larger than its actually footprint, while offering plenty of light from its timber-wrapped plethora of windows. 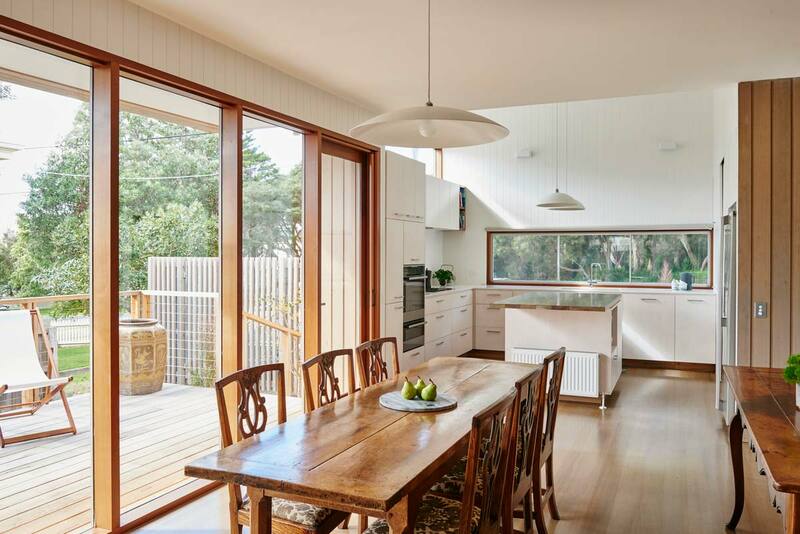 The white grooved paneling adds nicely to the bright appeal of Point Lonsdale, which were often found in the beach homes of yesteryear, along with fresh white cupboards in both the kitchen and main living areas – contrasting perfectly with wood built-ins and walls. 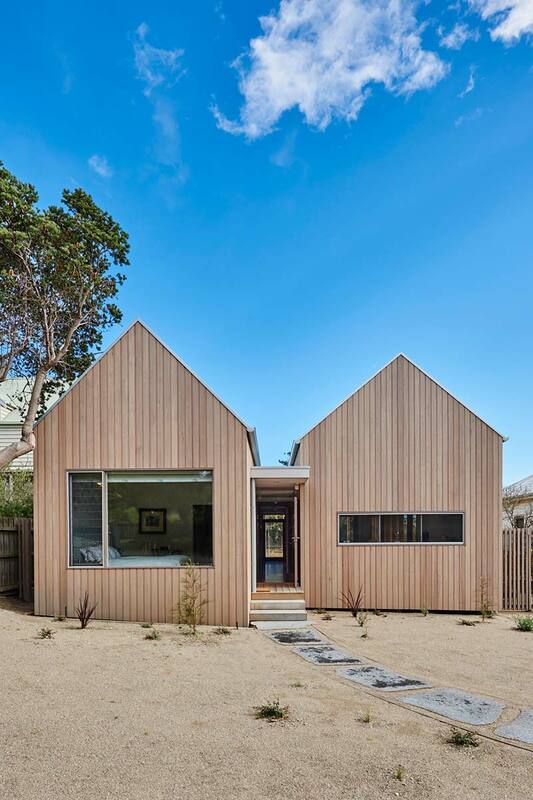 Mimicking the inner workings of a boathouse, Point Lonsdale utilizes the same upward bend to the roof – known as ‘cambered trusses’. While the dining area delivers a lower-hung ceiling to make for a more intimate experience, looking out onto the porch beyond its glassed-in, wood-framed walls. Built-in bookshelves and textured walls line the hallways with the same warm wood tones found throughout other parts of the home, allowing for both a cozy and functional feature, and providing areas to display art and artifact from the owners travels. 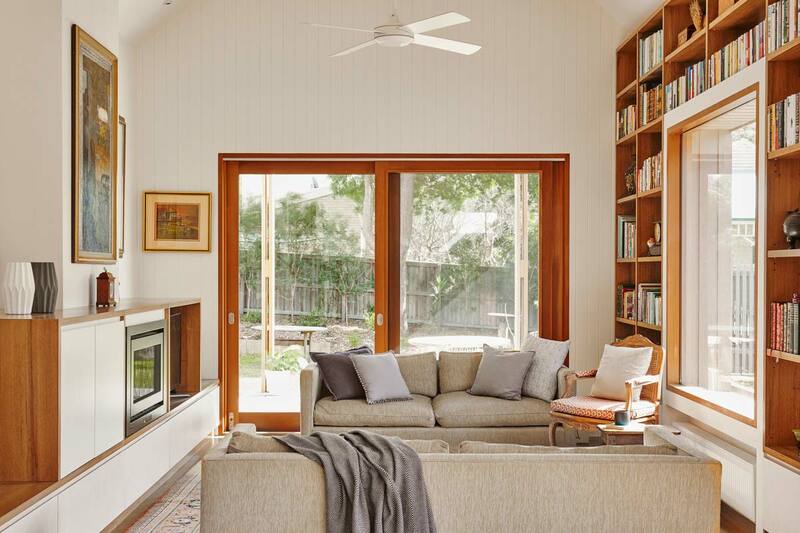 Point Lonsdale comes together as the ideal retirement space, creating a home to reflect on a life well lived, all within a picturesque environment in which to do so.